Avnet Technology Solutions (Avnet TS) has announced the UK availability of EMC’s VSPEX, a set of private cloud and virtual desktop infrastructure (VDI) reference architectures that partners can use to target small and medium enterprise (SME) customers looking to shift to the cloud. VSPEX, which combines storage, back-up and recovery technology from EMC, applications and systems management software from Microsoft, and Brocade networking systems, is available to Avnet’s EMC Velocity Premier Partners, EMC Velocity Affiliate Elite and EMC Velocity Affiliate partners, Avnet said. Avnet recently acquired Magirus UK, adding to the resources it can deploy to back up the VSPEX offerings, the company said. Avnet said its EMC Velocity Affiliate partner programme includes commercial incentives associated with VSPEX, as well as demand creation and marketing campaigns and access to demonstration facilities for helping to target SMEs. 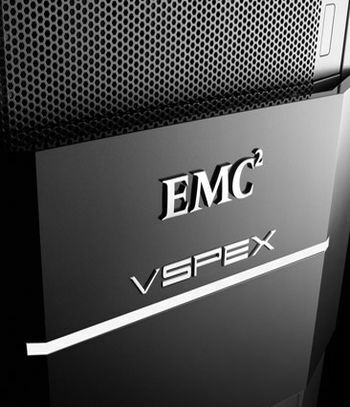 EMC’s UK channel director, Terry Beale, pointed out that the market for virtual infrastructure and private cloud computing is growing and argued that VSPEX will help accelerate this shift. The programme complements Avnet’s SolutionsPath methodology, which helps partners target specialised, high-growth markets, including storage, data management, virtualisation and security. The programme allows partners to supplement their VSPEX offerings with an end user’s existing infrastructure or preferred suppliers via Avnet’s portfolio of supplier products and services, Avnet said. Following the Magirus acquisition Avnet has introduced a new management structure designed to promote more collaboration between business units in order to help customers move into new areas, such as cloud computing. Avnet has said it plans to retire the Magirus brand at the end of January.